Core workout. 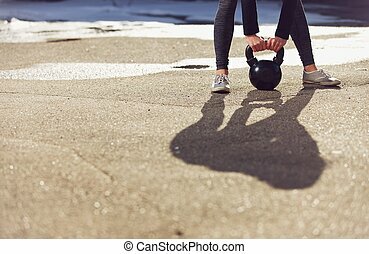 Young beautiful woman doing core workout outside. 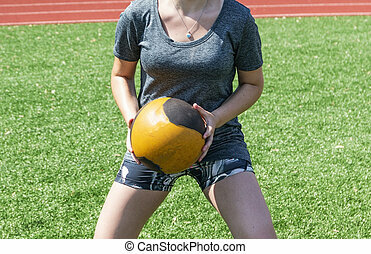 High school teenage girl doing a oblique core workout with a medicine ball while standing on a green turf field. 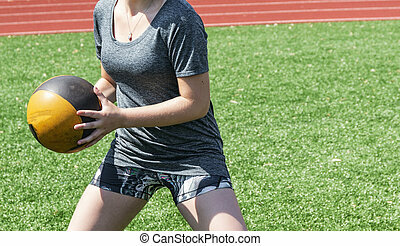 A high school girl is performing a core strength workout with a medicine ball standing on a green turf field during practice. 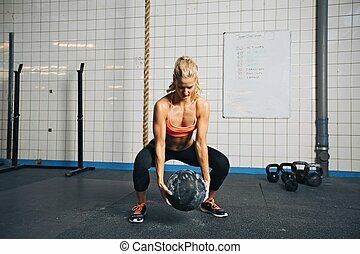 Confident Latina fitness trainer with serious expression while holding medicine ball against hip. 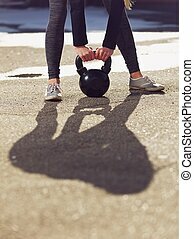 Fit and strong female athlete working out with a medicine ball to get better core strength and stability. 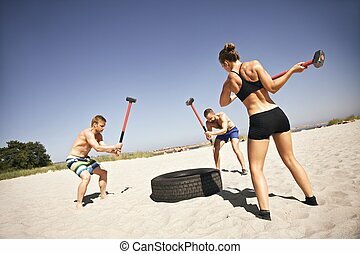 Woman doing crossfit workout at gym. Woman doing core stretch on fitness mat. Attractive young woman doing yoga at gym. 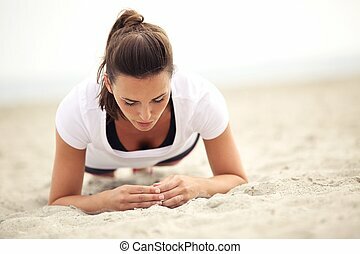 Young fitness woman on the beach doing core exercises as part of her healthy crossfit training rutine. 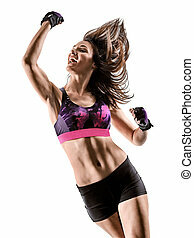 Fit female model in sports clothing. Fitness woman lying on exercise mat looking at her mobile phone. 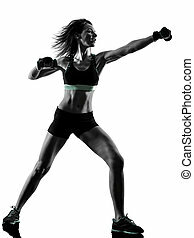 Caucasian woman using smart phone while exercising at gym.